Heard recently on campus: "No problem, I can JV that out of your index." FYI, you read it at AtO first. 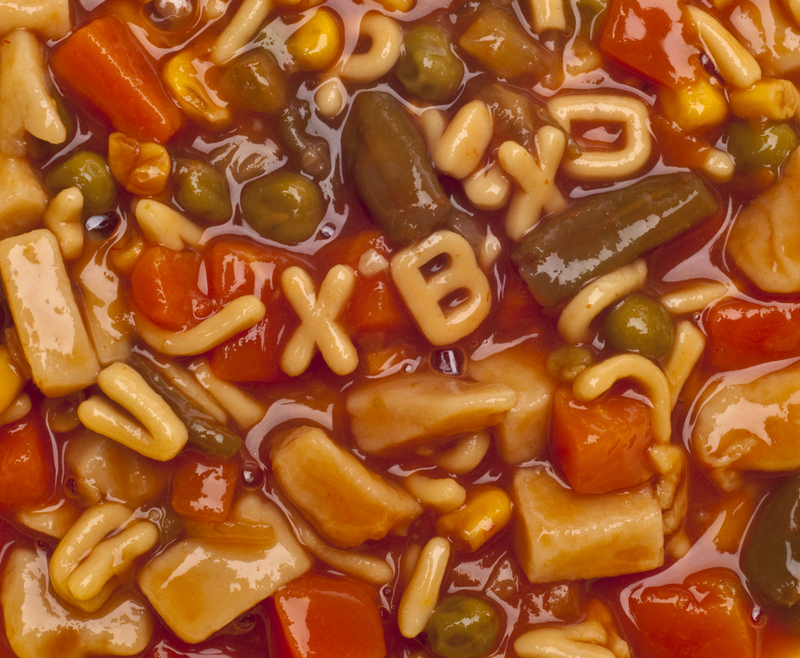 Right here at the UO – or should we say, Alphabet Soup U. Times Higher Education, a London-based weekly magazine, recently held a "HE Jargon" competition. One example was an e-mail regarding "FMT meetings" that was forwarded to the magazine by a doctoral student: "The first change is that ADs, SFA, HCM and BDM will meet on Mondays at 10 a.m. and then FMT will meet (including HoDis or APDs) at 11 a.m."
Hmm. The student couldn't decipher that tangle of abbreviations, either. But the contest wasn't limited to meaningless acronyms – it sought all forms of incomprehensible gobbledegook. The University of Leeds "won" for a vice chancellor's remark about organizational effectiveness: "We can reframe the way we define it, so that it's not viewed as simply foregrounding cost savings, but instead a much more complex interplay of influences and drivers that facilitate opportunities for enhancing the ways in which we manage movement." That brings us back to the comment recently heard at the University of Oregon. For the uninitiated, a "JV" refers to a journal voucher and an "index" is an office or departmental account. Then there's the UO's "Committee on Committees." Next on the agenda: a policy on policies. Here in the Office of Strategic Communications, each weekend we have an "AIC PIO." Anyone? That's an acting-in-capacity public information officer. A complaint heard often at AtO (AroundtheO) is that acronyms are overused at the UO, becoming an often-baffling part of the campus culture. Who hasn't heard – or used – a thought-stopping amalgam of letters in reference to a program, office or object? Did you know the NIGMS of the NIH funded the UO META CSB, and IEE, ION and IMB researchers are taking part? Where's the nearest AED to OIED? Oh, wait – OIED is now OEI. Does that person work in RIGE or IR? Did you know RARE is a CSC program? It used to be the ALS but now it's TLC. Did you pass PLC on your way to CMET? Are you a GTF in AAA or PPPM? A SMART (Scientific Mentorship And Research Training in Biology) award or SMART (Science, Mathematics And Research for Transformation) scholarship? Or a SMART (Science and Mathematics Access to Retain Talent) grant? As we're learning, the letter combinations – and possibilities for confusion – are endless. And as organizers of the Times Higher Education (THE) jargon competition concluded after receiving submissions from throughout the United Kingdom, "The collection proves that no institution is immune."